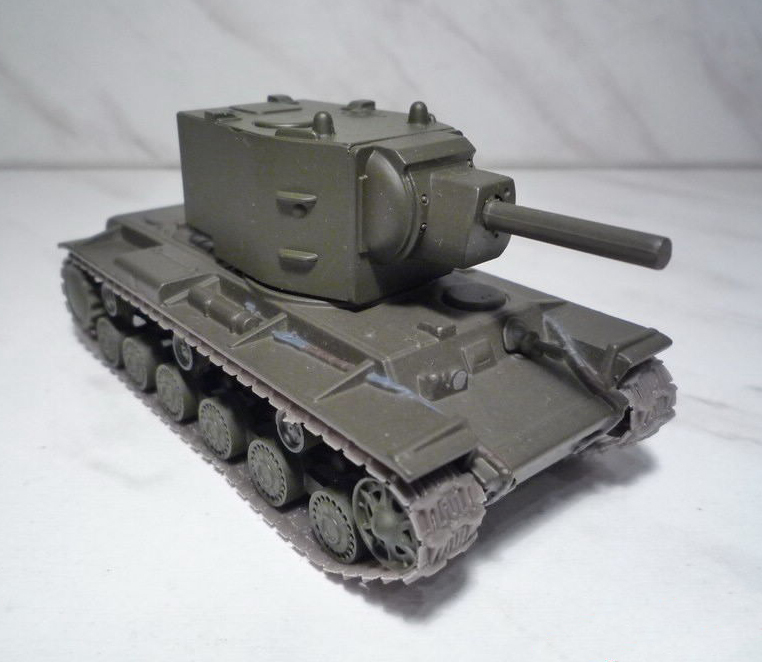 KV-2 - Soviet heavy tank assault initial period of the Great Patriotic War. Abbreviation: CV means "Kliment Voroshilov" - the official name of the serial release of Soviet heavy tanks 1940-1943 gg., Named after the hero of the Civil War in Russia, military and political leader Voroshilov Kliment Efremovich. 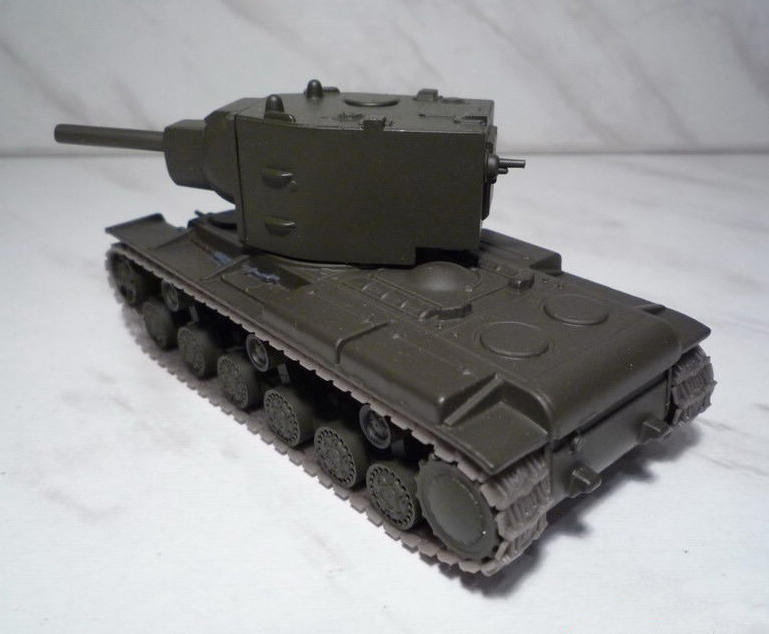 Index 2 means the second model in the family of tanks KV. This machine was developed by the design bureau at Leningrad Kirov Plant (LKZ) in January 1940 in connection with the pressing need of the Workers' and Peasants' Red Army (RKKA) in well-protected tanks with powerful weapons to fight the fortifications of the Mannerheim Line during the Russo-Finnish War, 1939 - 1940. 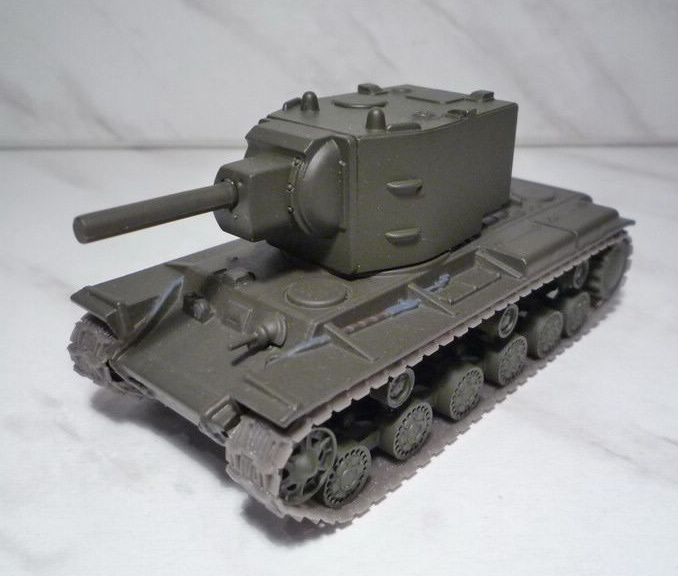 A month later, the KV-2 has been officially adopted for the Red Army and mass produced at LKZ to October 1941 inclusive. The reason for withdrawing from the production served by several factors: material consumption and low reliability of the tank, the temporary absence of the Red Army in need of such machines, and the total evacuation LKZ cease production of tanks in the Leningrad blockade after closure of the ring. 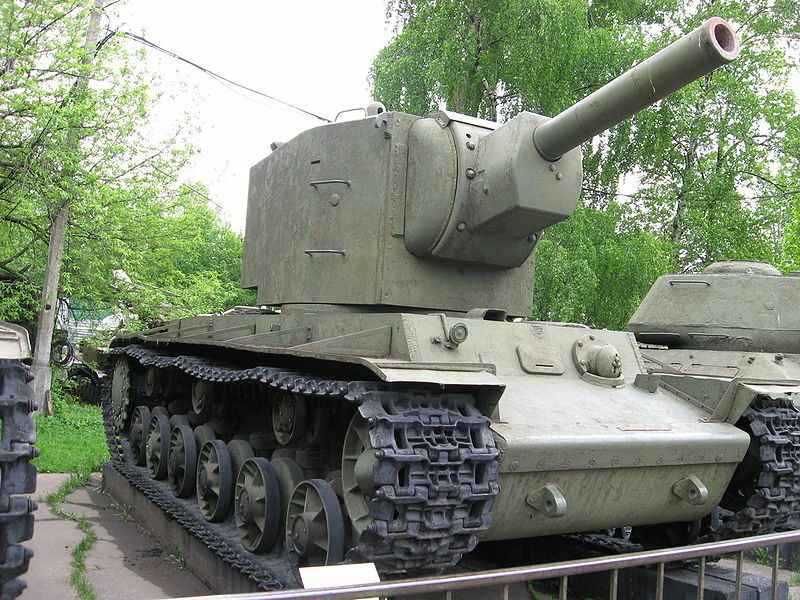 Total LKZ constructed 334 KV-2 tanks, which are actively used in combat in 1941 and at that time were almost all lost. Attention! This model was bought from a private collection - factory packaging is not!